Update: Virginia Gov. 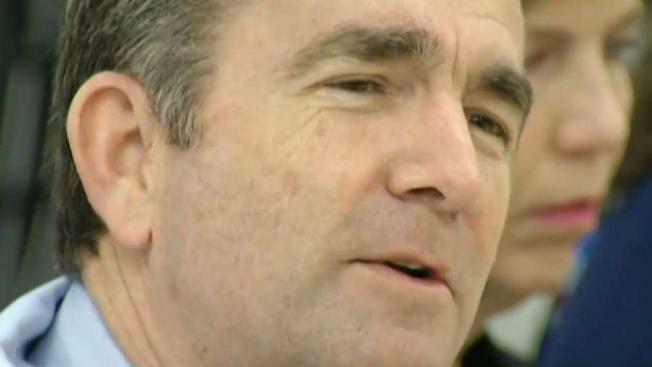 Ralph Northam now says he was not shown in an 1984 yearbook photo that led to calls for him to step down. He says he will not resign. See the latest here. Virginia Gov. Ralph Northam apologized Friday evening after a 1984 yearbook photo of him surfaced showing a man in blackface alongside someone wearing a Ku Klux Klan robe and hood. Northam confirmed in a statement that he appeared in the photo but did not say which of the two offensive costumes he wore. “I am deeply sorry for the decision I made to appear as I did in this photo and for the hurt that decision caused then and now," the Democratic governor said in a statement. Later Friday, he posted an apology video on Twitter, saying, "That photo and the racist and offensive attitudes it represents does not reflect that person I am today or the way that I have conducted myself as a soldier, a doctor and a public servant." Northam gave no sign that he intends to resign. "I am ready to do the hard work of regaining your trust. I have spent the past year as your governor fighting for a Virginia that works better for all people. I am committed to continuing that fight through the remainder of my term and living up to the expectations you set for me when you elected me to serve," he said in the video. The photo inside Eastern Virginia Medical School's yearbook is placed alongside photos of the future governor. Here's a closeup of the photo that appeared in Gov. Ralph Northam's yearbook. He said Friday, Feb. 1, 2019, that he was shown in the photo, but reversed course a day later, denying he appeared in the image. The Norfolk medical school said the photo appeared in the student-produced yearbook. Reporters with the Associated Press and WAVY-TV in Norfolk saw the yearbook page and confirmed its authenticity. A photo of the page was first posted Friday afternoon by the conservative website Big League Politics. Prominent Democrats and Republicans in Virginia and nationwide have called for Northam to resign. Former Gov. Terry McAuliffe said on Twitter late Friday night that Northam should step down. "The situation that he has put himself and the Commonwealth of Virginia in is untenable. It's time for Ralph to step down, and for the Commonwealth to move forward," he said. The NAACP has called on Northam to resign. "Black face in any manner is always racist and never okay. No matter the party affiliation, we can not stand for such behavior, which is why the @NAACP is calling for the resignation of Virginia Governor @RalphNortham," NAACP President Derrick Johnson said on Twitter. The Virginia Legislative Black Caucus also asked for Northam's resignation after a late-night meeting with the governor. "We fully appreciate all that he has contributed to our Commonwealth. But given what was revealed today, it is clear that he can no longer effectively serve as Governor," the VLBC said. "We feel complete betrayal. The legacy of slavery, racism, and Jim Crow has been an albatross around the necks of African Americans for over 400 years. These pictures rip off the scabs of an excruciatingly painful history and are a piercing reminder of this nation's sins." Virginia Senate Democrats joined the request for his resignation. “The Ralph Northam we know is a pediatric neurologist, a dedicated public servant, and a committed husband and father. Nevertheless, it is with heavy hearts that we have respectfully asked him to step down,” the Virginia Senate Democratic Caucus said in a statement. The chairman of the Republican Party of Virginia said earlier Friday that Northam should resign if he was one of the two people in costume. "Racism has no place in Virginia," Jack Wilson said in a statement. "These pictures are wholly inappropriate. If Governor Northam appeared in blackface or dressed in a KKK robe, he should resign immediately." Cory Booker and Kamala Harris, two African-American candidates seeking the Democrats' 2020 presidential nomination, joined the chorus. Hours after announcing he will run for the Democratic presidential nomination in 2020, Booker said Northam should resign. "These images arouse centuries of anger, anguish, and racist violence and they’ve eroded all confidence in Gov. Northam’s ability to lead," Booker tweeted. Fellow Democrat 2020 hopefuls Elizabeth Warren, Julián Castro, Kirsten Gillibrand, John Delaney also outright said Northam should resign. Northam's close allies did not immediately say anything publicly. Democratic Sen. Jennifer McClellan, a well-known African-American lawmaker from Richmond, just shook her head when approached by a reporter seeking comment. Lt. Gov Justin Fairfax, the second African-American man to be elected to statewide office in Virginia, would finish Northam's term as governor in the event of a resignation. Last month, Fairfax temporarily stopped presiding over the state Senate as some lawmakers honored Robert E. Lee's birthday. Fairfax has not released public comment at this time. The state's next gubernatorial election is set for 2022. The governor, a pediatric neurologist, graduated from the Eastern Virginia Medical School after graduating from Virginia Military Institute. The caption under the photo on his yearbook page says, in part, "Quote: There are more old drunks than old doctors in this world so I think I'll have another beer." The man in blackface and person in a KKK robe in the photo are holding cans. The rest of the half-page shows photos of Northam — in a jacket and tie, in a cowboy hat and posing next to a sports car — beneath his name. The page lists his undergraduate alma mater and his interest as pediatrics. The publication of the photo comes amid a bruising week for the governor. State Republicans accused him of advocating infanticide after he defended a failed bill that would have lifted restrictions on late-term abortions. President Donald Trump and Vice President Mike Pence both weighed in, slamming Northam and Del. Kathy Tran, who introduced the bill. In Florida, the secretary of state resigned last week after photos from a 2005 Halloween party showed him in blackface while dressed as a Hurricane Katrina victim. "Earlier today, a website published a photograph of me from my 1984 medical school yearbook in a costume that is clearly racist and offensive. I recognize that it will take time and serious effort to heal the damage this conduct has caused. I am ready to do that important work. The first step is to offer my sincerest apology and to state my absolute commitment to living up to the expectations Virginians set for me when they elected me to be their Governor."